Though the passage of President Barack Obama’s Affordable Care Act divided conservatives and liberals across the country about the role of government, the ACA’s HealthCare.gov also united millions of Americans of both parties in the hair-pulling frustration of trying to enroll using the glitch-prone website. As intimidating as the website was for Americans who are used to clicking their way through online forms and applications, for many Latinos in Utah, enrolling through the government portal meant getting an e-mail for the first time. 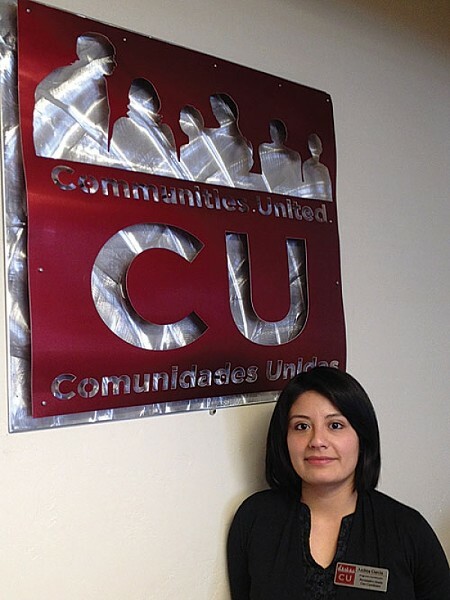 “We have to start all the way from the bottom,” says Andrea Garcia, a health-care navigator with the Salt Lake City nonprofit Comunidades Unidas. She works to help enroll Latinos in the ACA, which often means holding clients’ hands through the basics of the Internet before attempting to tackle HealthCare.gov. Navigators like Garcia are tasked with making sure community members are enrolled under ACA before the March 31 open-enrollment deadline. Under the ACA, funds have been earmarked to help various nonprofit groups get the word out, perform community outreach and guide individuals through the process of enrollment. The ACA is expected to help Utah’s Latino population, which is disproportionately affected by preventable diseases like hypertension and diabetes. According to a Feb. 11 report by the United States Department of Health & Human Services, there are 86,000 Latinos in Utah who are currently uninsured but could qualify for ACA subsidies. That number represents roughly a third of all Latinos in the state, and nationwide is .8 percent of Latinos eligible for ACA coverage. But as health-care navigators who work directly with their communities know, the official number of eligible Latinos doesn’t provide the whole picture of many households with documented and undocumented family members. While Garcia has to turn away undocumented Latinos for not being eligible for ACA coverage, she is happy to tell clients that undocumented parents who enroll their U.S. citizen children don’t have to worry that bringing them into the system will expose them to deportation. There are other fear-based obstacles to ACA enrollment in the Latino community. Angela Castano, a navigator with Alliance Community Services, says many undocumented Latinos are used to receiving health care at community centers or waiting until there’s a health emergency to seek care. Others—even those who are eligible for insurance—are simply unaccustomed to having it. And she says there are some private insurance agents out there who prey on this uncertainty. She’s heard of agents telling Latinos who make too much for Medicaid but not enough for ACA to simply report a higher income on their taxes so that they can get ACA subsidies—a deception that will, in the end, mean that they’ll pay more in taxes because of their inflated reporting. “They confuse and try to enroll people through lies,” Castano says. But both women stress the importance of becoming familiar with health care despite the daunting aspects. Garcia does basic health screenings at the Mexican Consulate and says that she’s sometimes the first one to tell community members who’ve neglected to get simple checkups that they have serious conditions like diabetes or hypertension. “To me, it’s just astounding that people are unaware that they have a chronic condition,” Garcia says. The ACA, she says, will help a person’s introduction to health care be with a family doc and not an emergency-room team. “It’s really going to put a focus on preventative health and give people the benefit of getting to know the health system in the first place,” she says. Editor’s Note: This is the second part in a series looking at how enrollment in the Affordable Care Act will affect different members of Utah’s communities. Part 1 profiled the opportunities and challenges ACA creates for the LGBT community.